I graduated with a BFA from MICA in 1979, Art Education, only 6 credits shy of a double major in painting. While at MICA I apprenticed in the stained glass studio of Saul Farber. 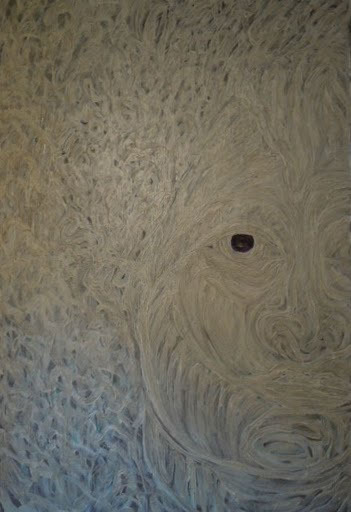 I have been drawing, painting and working in glass all the years since. Recently I acquired an MFA from the Art Institute of Boston at Lesley University. Embracing the mission of the Guerrilla Girls, a feminist artgroup fighting for the rights of women artists, past and present, thisinvestigation of work seeks to recognize and celebrate the contributions ofthese ‘she-roes’. 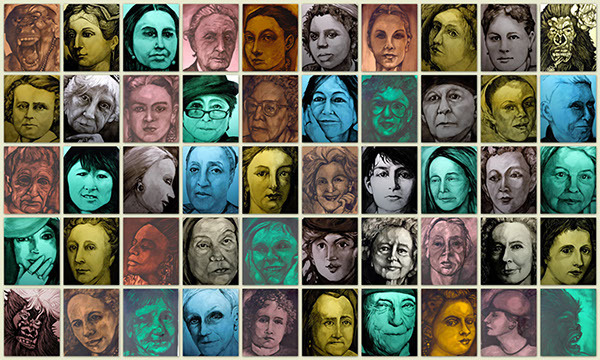 With anintention to re-inform the art canon, the faces of women artists over thecenturies are re-presented. 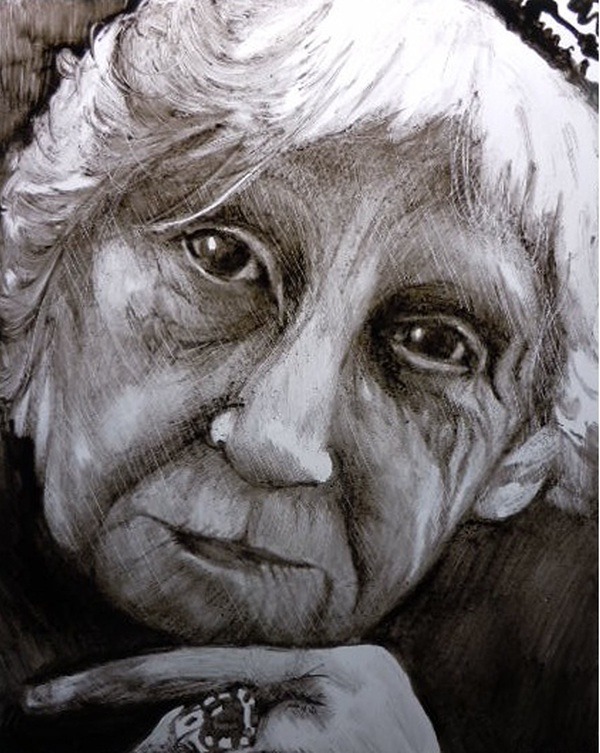 Duringtheir lifetime, many received a lack of recognition, muted by the hegemony oftheir male-dominated world. 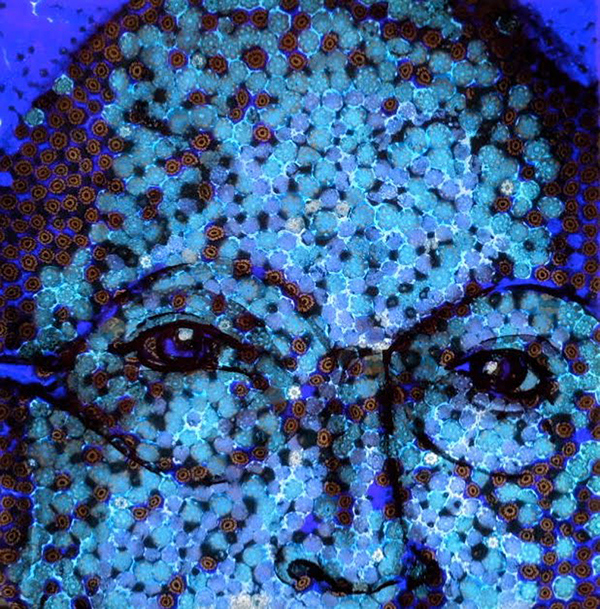 Withinfluences as diverse as Hildegard de Bingen and Lee Krasner, new synergies arecrafted from both opaque and transparent structures. 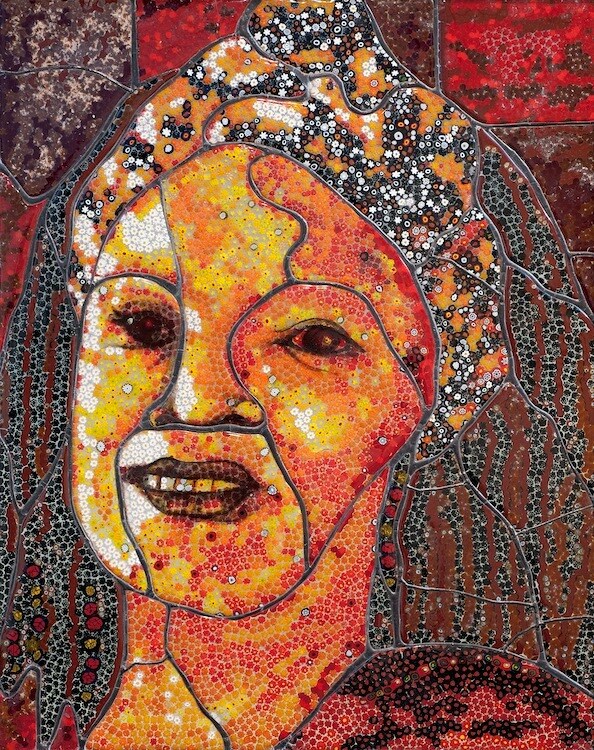 This work ranges anexploration of painting with oils to compositions in glass. Maternal meta-narratives further homagethe neglected ‘other-half’. 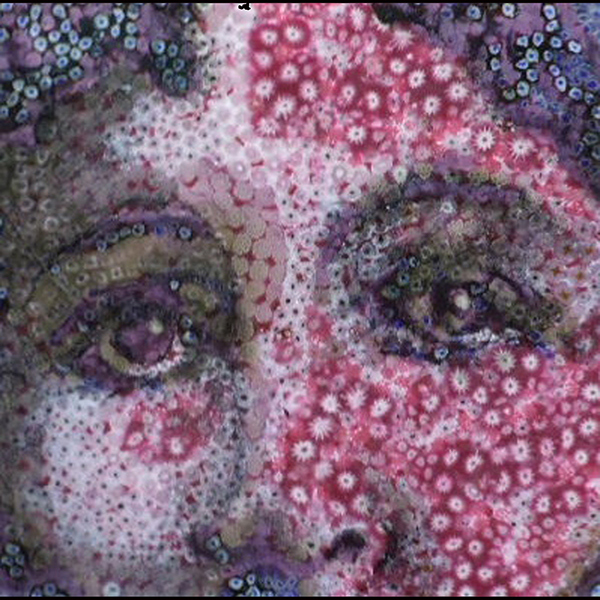 Mom's Always Watching, 10 x 10", Vitreous femmage. 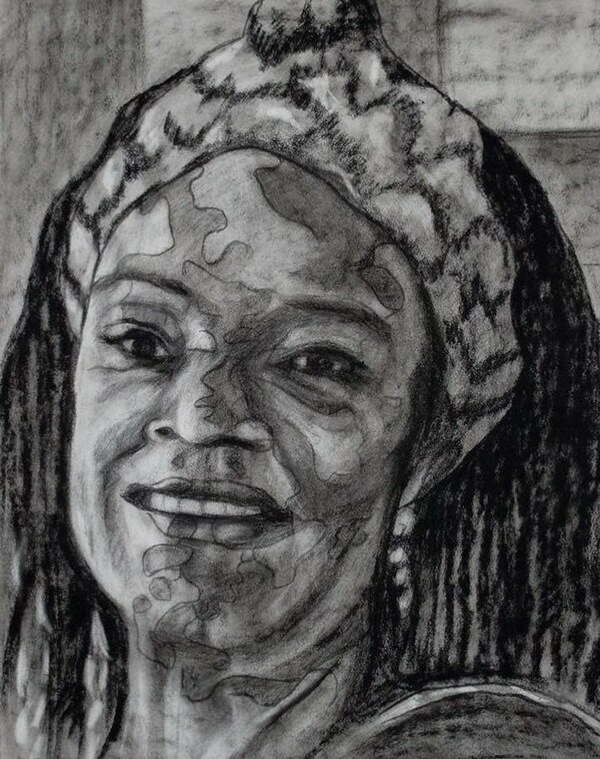 Faith Ringgold, Charcoal, 22 x 30". 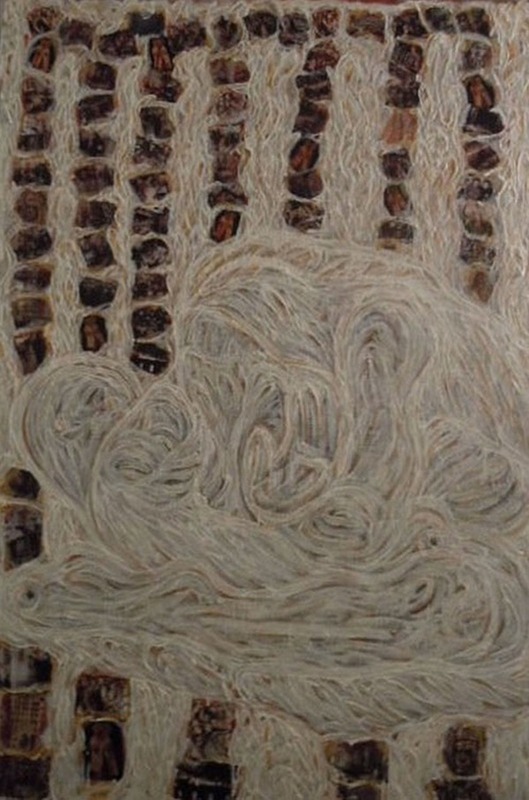 Homage to Gabriele, Mixed media painting, 4 x 6'. For Gabriele, Vitreous Femmage, 10 x 10". 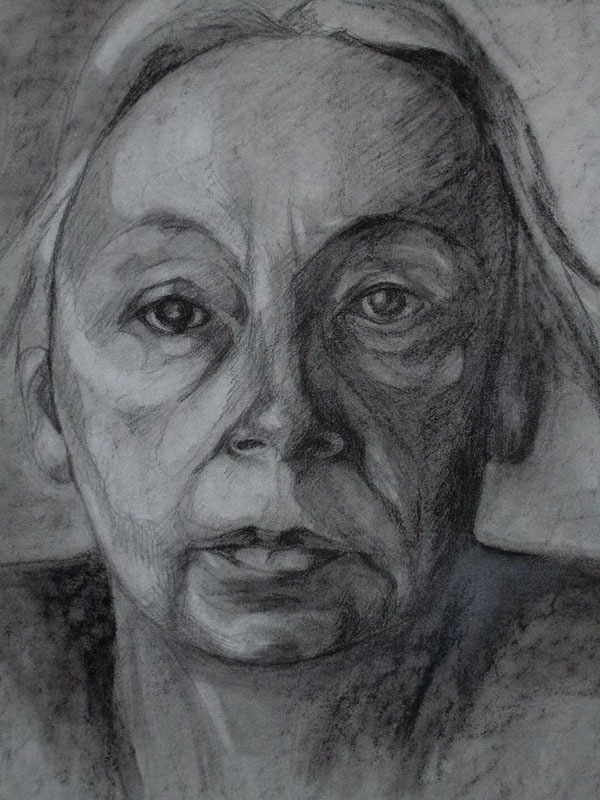 Käthe Kollwitz, Charcoal on paper, 22 x 30". 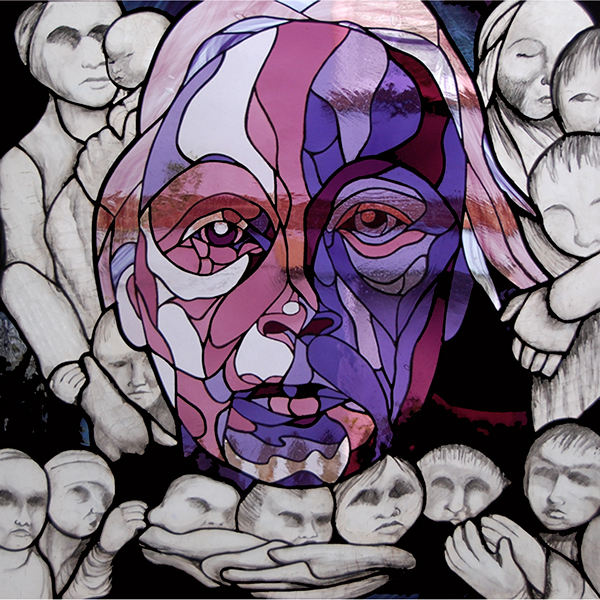 Homage to Kollwitz, Stained Glass assemblage, 40 x 40". 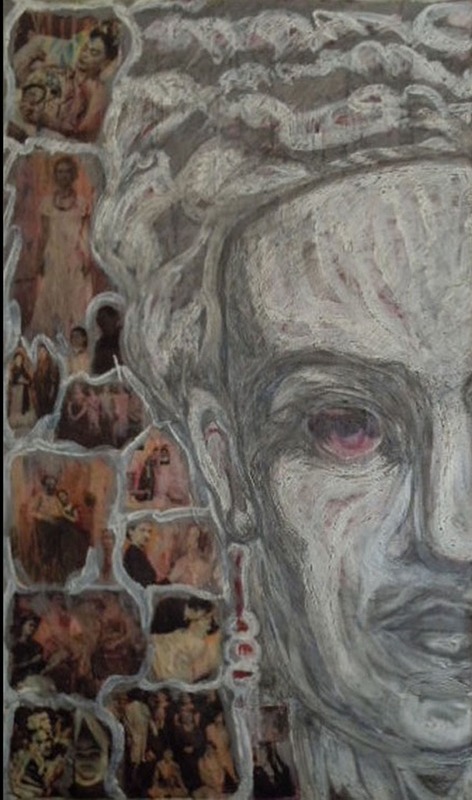 Pieta: After Kollwitz, Mixed media painting, 4 x 6'. Homage to Krasner, Mixed media painting, 3 x 5'. Homage to Frida, Mixed media painting, 3 x 5'. 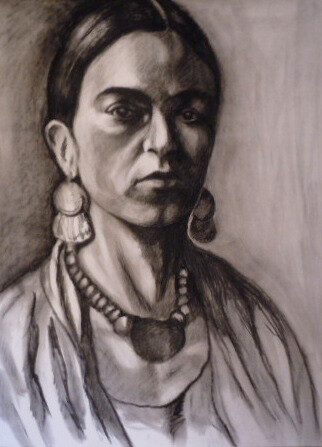 Frida, Charcoal on paper, 22 x 28". 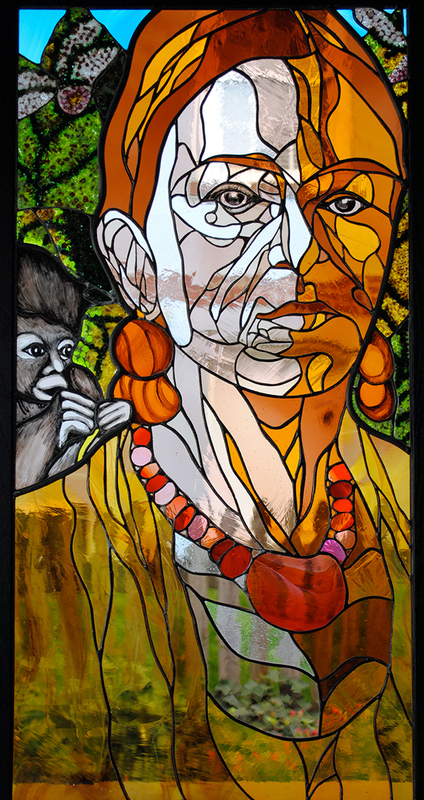 Mi Frida, Stained glass assemblage, 20 x 40". For Camille, Vitreous Femmage, 10 x 10". 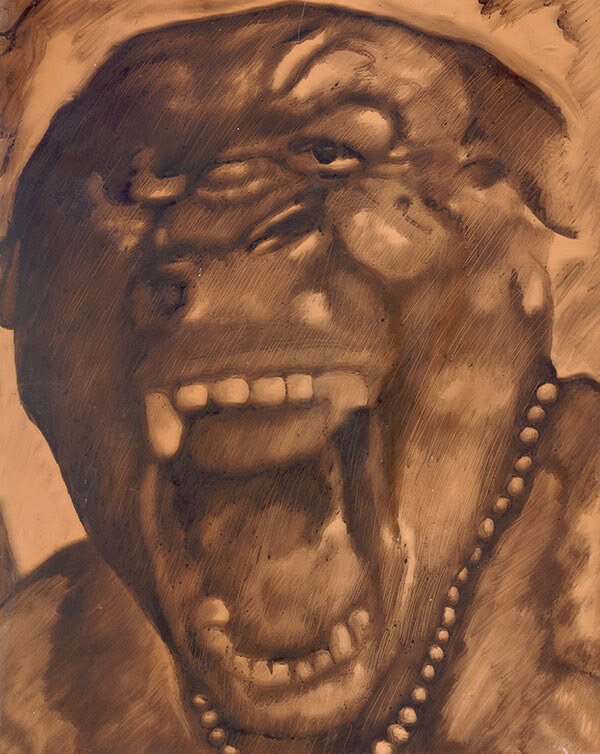 Guerilla Girl 1, Vitreous painting on glass, 8 x 10". 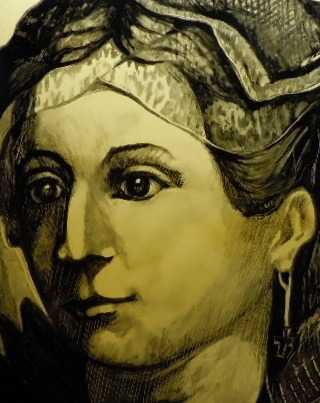 Hildegarde de Bingen, Vitreous painting on glass, 8 x 10". Imogen Cunningham, Vitreous painting on glass, 8 x 10". 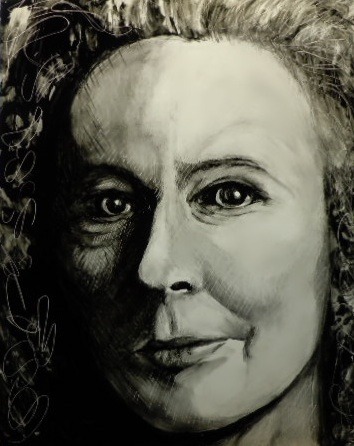 Kiki Smith, Vitreous painting on glass, 8 x 10". 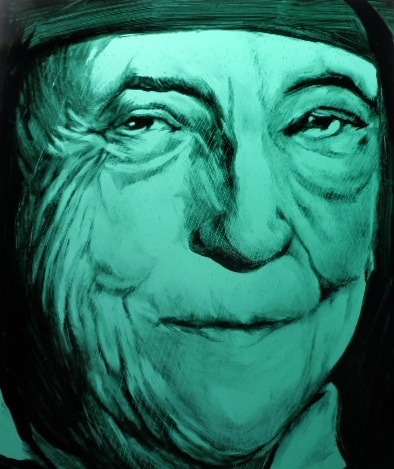 Louise Joséphine Bourgeois, Vitreous painting on glass, 8 x 10". Vitreous paintings on glass, 28 x 10" (each 8 x 10"). Homage to Faith, Vitreous Femmage/ leaded, 22 x 30".